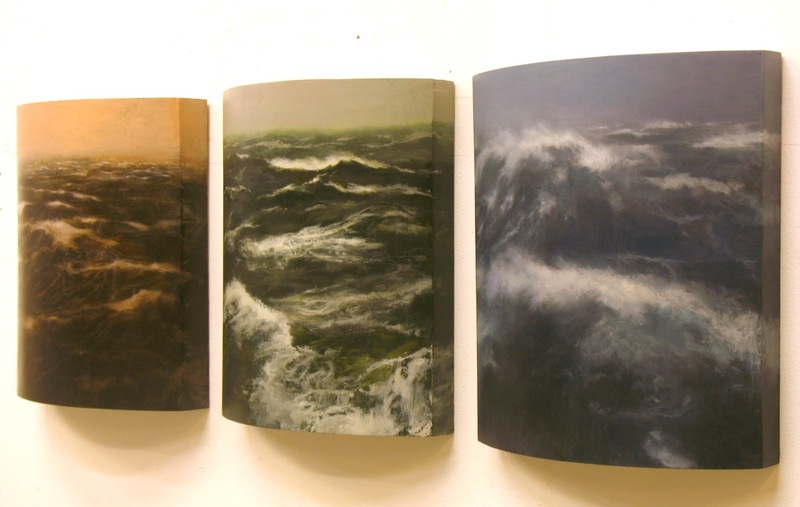 New painting, a triptych. About 14 x 42 On shaped panels. 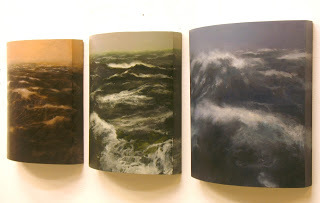 Titled The Beaufort Scale. This scale is used to estimate wind velocity by observing the condition of the sea surface. This piece is going to be included in a group show at the Sloane Merrill Gallery in Boston opening on February 22. These paintings are being included in a group show at the Julie Nester Gallery in Park City, Utah, and coincidentally that opening is also on the 22nd of this month. If you happen to be in either place drop by. I will be at the Nester gallery on opening night. These paintings took a lot of tweaking to get the space right. 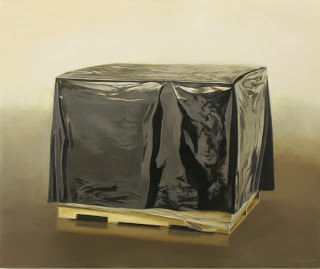 And it’s fascinating to create the illusion of opaque and clear plastic draping the subject. It reminds me of that bust in marble that suggests a thin veil covering the face of the woman. It appears transparent yet rendered in marble. I’ll track it down and post it so you can see what I’m talking about. 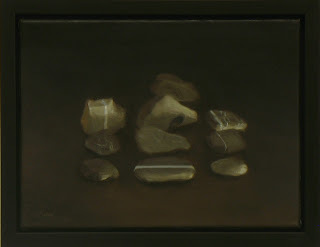 I love the little painting of stones, the dark on dark is arresting. I think I’ll do something more with that, perhaps a bigger canvas while maintaining about the same size stones, just more of them. © 2019 Geoffrey Krueger All Rights Reserved.